The joint union of conspiracy to Channel morbid energies for eternal etching in wax by Australiaâ€™s Pestilential Shadows & Corvus has now materialized. The infernal turning gyre reveals otherworldly echoes recorded exclusively for this 7" vinyl release. 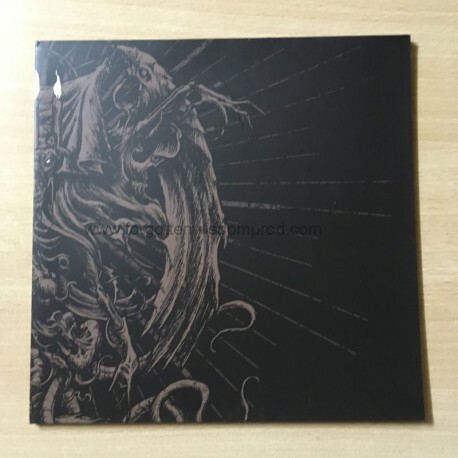 Black Metal created of decay, vile adipocere & deathly esotericism on black vinyl with artworks rendered anew by Balam for this deluxe presentation with lyric sheet insert. Strictly Limited to 250 copiesWhen the best is crowned in fire, dynasty of the bones has just begun !